The bridge navigational watch alarm system (BNWAS) monitors bridge activity and detects operator disability that could lead to marine accidents. The system monitors the awareness of the Officer Of the Watch (OOW) and automatically alerts the Master or another qualified person if for any reason the OOW becomes incapable of performing the OOW's duties. This process is subdivided in different alarm stages which primarily try to alert the OOW via visual and audible alerts. 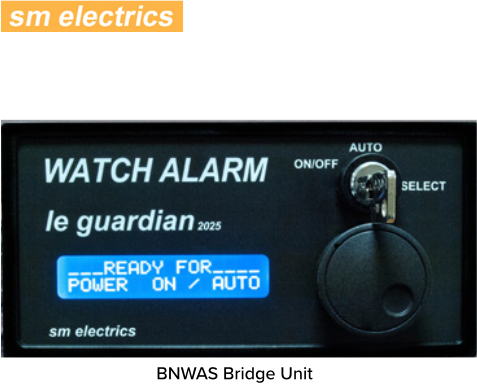 The Bridge Alert Management System (BAMS) gives uninterrupted support to the Officer of the Watch, especially in multiple alarm situations. The BAM system merges all possible alerts into a harmonized presentation on a central screen. This centralized alarm management tool is guiding the OOW by indicating all connected nautical systems in graduated categories. 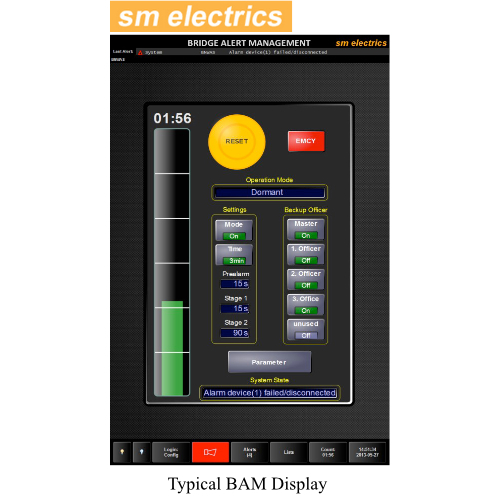 The bridge alert management system BAM le guardian 3000 controls all audible alarms on the bridge by a bi-directional alarm, acknowledge and sound off interface. The system provides alarm specific instruction assisting the OOW to react appropriately. A continuous event log ensures data is permanently available for systematic analysis of critical incidents or other exceptions.